Untimely for those she left behind, but according to God’s good time, Sister Alphonsa Danovich was called home to God in the early hours of Mon., Nov. 26, 2012. She had spent a wonderful week with her sister and brother-in-law, Magdaline and Bill Ostheim, who were celebrating their 60th Wedding Anniversary. Johnstown, the place of her birth, was destined in God’s plan to be the place from which she entered into new life. The joy which she shared with her family, though dimmed by the sudden turn of events, was to be a precursor of the joy awaiting her when God received her into His eternal embrace. The youngest daughter of the late John and Julia (Dzmura) Danovich, Sister Alphonsa was christened Catherine at her baptism. She entered the Sisters of St. Basil from St. Mary’s Byzantine Catholic Church in Johnstown, Pa. on Sept. 16, 1951. She pronounced her First Vows on April 4, 1954 and made her Final Profession on Aug. 15, 1957 in the presence of the late Archbishop Nicholas T. Elko. Her 80 years of life, sixty-one of which she spent as a Sister of St. Basil, were filled with diverse ministries and rich experiences. From 1954 until 1971 she served as a teacher in the parish schools of the Byzantine Catholic Metropolitan Province of Pittsburgh. It was in the summer of 1971, that her life and ministry as a Basilian Sister took an unexpected turn when she learned that she had been elected as the General Treasurer of the Order with headquarters in Rome, Italy. Neither she nor anyone knew that most of the remaining years of her life would be spent in Rome, first as General Treasurer, then working in the Vatican Office of the Administration of the Patrimony of the Holy See. 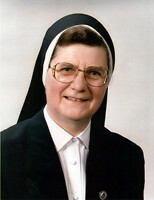 After serving as a General Councilor, Sister Alphonsa was elected to the position of General Superior in 2001. At the completion of her term of office, she returned to the Monastery in Uniontown. After a sabbatical year, Sister accepted her final call to ministry as the Assistant Finance Officer for the Eparchy of Phoenix in Arizona. heart and soul to her work for the Province, for the Order, and for the Church. of help to anyone in whatever way she could. 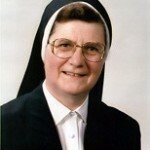 Sister Alphonsa was preceded in death by her parents; her brother John; her sisters, Helen (Kohan) and Anna (Brezovec). In addition to the members of her community, she is survived by her sister Mary Slonka, her sister Magdaline (Bill) Ostheim, and many devoted nieces, nephews and their families. Relatives and friends will be received at the Monastery Chapel on Fri., Nov. 30 from 3:30 p.m. to 8:30 p.m. The Parastas Service will be celebrated at 7:00 p.m. The Funeral Divine Liturgy will be celebrated by the Metropolitan Archbishop William Skurla on Sat., Dec. 1 at 10:30 a.m. in the Monastery Chapel.